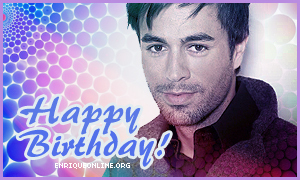 EnriqueOnline.org and all fans worldwide want to wish you a wonderful birthday. Lots of health, much love, happiness and success. May all your wishes come true!